Jane Haddam is a pen name of Orania Papazoglou. She has written over 20 mysteries and is a regular contributor to magazines such as Ladies Home Journal, Family Circle, and Parents. She lives in Watertown, Connecticut. She was the wife of William L. DeAndrea. 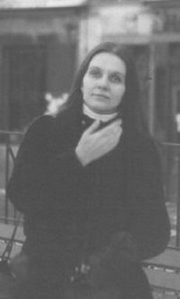 Jane Haddam is currently considered a "single author." If one or more works are by a distinct, homonymous authors, go ahead and split the author. Jane Haddam is composed of 7 names. You can examine and separate out names.